A dental implant is a titanium metal rod which is placed into the jawbone. It is used to support one or more false teeth. In practice, both the false teeth and their supporting rod are known as implants. Implants are a well established, tried and tested technique. Over 95% of modern implants should last for many years with the right care. Yes. You can have any number of teeth replaced with implants – from one tooth to a complete set. It depends on the condition of your jaw bone. Your dentist will perform a number of special tests to find out the amount of bone still there. If there is not enough, or if it isn’t healthy enough, it may not be possible to place implants without grafting bone into the area first. 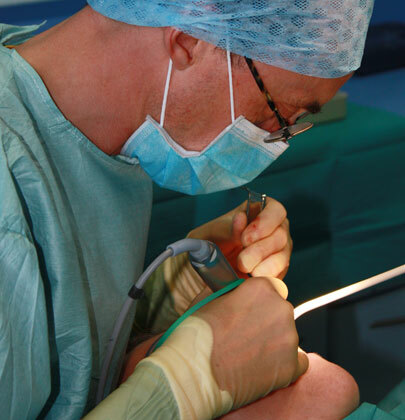 Placing the implant means a small operation. This can be done using a simple anaesthetic, and sometimes sedation if you are very nervous. You will not feel any pain at the time, but you may feel some discomfort during the week after surgery. This is usually due to having stitches, and the normal healing process. Your dentist will be able to give you a rough timetable before the treatment starts. Usually the permanent teeth are fitted 6 to 9 months after the implants are put in, but many implant systems now allow the time to be as short as 3 months. Some teeth can now even be fitted at the same time as the implants (known as immediate implants) but you should check with your dentist to see whether these are suitable for you. Your dentist may give you some pain relief after the surgery, or check whether you have them at home to take over the next few days if you need them. Your dentist may also prescribe antibiotics. Don’t smoke, exercise or drive for the rest of the day. Don’t rinse the area and only eat soft foods. However, it is important that you keep your teeth clean by brushing – but do not poke the implant site. You can use a chlorhexidine mouthwash every day during the first week after surgery. The implants need to bond with the bone after they have been put in. This usually takes at least 3 months in the lower jaw and 6 months in the upper jaw. Sometimes the implants may be stable enough when they are fitted for the artificial teeth to be attached much sooner than this. You may have a temporary denture in the meantime. If you have a complete denture you can keep wearing this throughout the healing period once they have been modified after the surgery. A healing cap will usually be placed onto the implant site to protect the area during healing. No. But after care is important if you are going to have a long-lasting, successful implant. Your dentist should give you detailed advice on how to look after your implants. Cleaning around the teeth attached to the implants is no more difficult than cleaning natural teeth. However, there may be areas that are difficult to reach and you’ll be shown methods to help you. You may need to visit your hygienist more often but your dentist will be able to talk to you about this. No, unless you’re only having a single tooth replaced. Normally five or six implants are used to replaced all the teeth in one jaw, as each implant can usually support two teeth. For a few missing teeth, two or three implants may be used. Implants and the teeth they support can be damaged by an accident in the same way that natural teeth can. It is therefore important that you wear a professionally made mouthguard if you play sports that involve contact or moving objects. If there is damage, the teeth can be dismantled from the implant and replaced. However, if the titanium rod is damaged beyond repair, this part may be safely left in the jaw if it is too difficult to remove. Another implant may be placed alongside it to replace the damaged implant. In many situations, the cost of the treatment is only a little more than the cost of more conventional treatment with crowns and bridges. Over the longer term, implants are usually a more cost effective and satisfactory option. There are advantages to it, too. An implant to replace a single tooth avoids the need to cut down the teeth either side for crowns to support a bridge. Normal dentures often mean you can’t eat or speak well, due to the dentures moving about. But teeth attached to an implant don’t cause this problem as they are anchored to the bone more firmly than natural teeth. The current costs of having dental implants in our Glasgow Practice can be found on our Prices page. So if you’d like to learn more about dental implants or if you’d like to book an appointment, please click here to get in touch.